The Blue Train Cometh | A Daily Dose of Zen Sarcasm! The Blue Train Cometh, originally uploaded by Madame Meow. There are few things happier to me than seeing a Metro train arriving. 10 Oct	This entry was published on October 10, 2008 at 4:23 pm and is filed under Uncategorized. Bookmark the permalink. Follow any comments here with the RSS feed for this post. Cool! Nice shot! 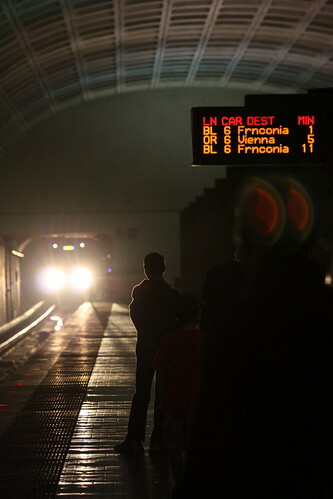 That actually makes the Metro actually look romantic and noir-ish.